After a juicy teaser at its big Galaxy Note5 event, Samsung has now officially unveiled its new series of smartwatches: enter the Samsung Gear S2 and Gear S2 Classic. This new generation of Samsung smartwatches comes powered by Tizen rather than Android Wear, but probably the biggest highlight is the option to buy the watches in a 3G-enabled version, where you can put your own SIM card and use the watches independently from your phone. And yes, the rotating bezel is indeed real: just rotate it to navigate around the menus. On the right side, there are also two physical buttons - a home and back keys - that make it easier to deal with notifications. As to the Tizen part of the equation, Samsung says that the platform does well with keeping you informed about texts, calendars, emails, breaking news, and fitness goals, while the 3G version of the watch can make and take regular voice calls. It is also true, however, that Tizen is a much smaller ecosystem with much less watchfaces and third-party apps, when compared to Android Wear (but Samsung says it's working on expanding it). Good news is that the new Gear S2 features full support for Samsung Pay, which should go live in the coming months and promises compatibility with almost all current paying terminals with no special hardware required. The best practical part of the Samsung Gear S2 family, however, might be their extended battery life: Samsung says typical usage will range between two to three days (depending on your usage), so you won't need to go to the charger every single night. The Gear S2 Classic comes in black with a design that mimics that of a traditional watch, and that alone scores extra style points in our book. We also like the fact that the rotating bezel is ridged for a nice tactile feel. The watch is also fairly lightweight at just 1.48oz (42g) and measures 11.4mm thick. The Gear S2 is definitely the more futuristic looking one of the two: it's got an all metal sci-fi styling. It is a bit heavier than the S2 Classic, measuring 1.66oz (47g), while the thickness is the same at 11.4mm. The Gear S2 family will also be available in a fully independent 3G versions, where you put a separate SIM card. This will allow you to use mobile data, as well as make and take calls without the need to have your phone nearby. The 3G version of the watches features a 300mAh battery (while the regular ones sport a 250mAh one), required because of the extra strain that comes with always-on connectivity. This makes the watches slightly heavier and thicker: the S2 3G weighs 1.8oz (51g) and measures 13.4mm thick. Why is Tizen a bad thing? Because it is Samsung and no matter what Samsung does haters will find a way to hate. Apple Watch is bad because it only has limited support to Apple's phones, says no one ever. So what if its only limited to Samsung's phones. Don't all brands have devices supported only with their brand? Stop making it sound like Samsung is being evil. Do you own an iphone or an Apple watch mr I hate limitations? I'm glad the Gear line doesnt work with any other phone. The Apple Watch doesnt work with any other phone either, but no one is complaining. Its not a limitation. Tizen isnt an open platform. Your words: "And for your kind info i neither Hate nor Love any BRAND" But you say your an iOS hater... I'm confused. 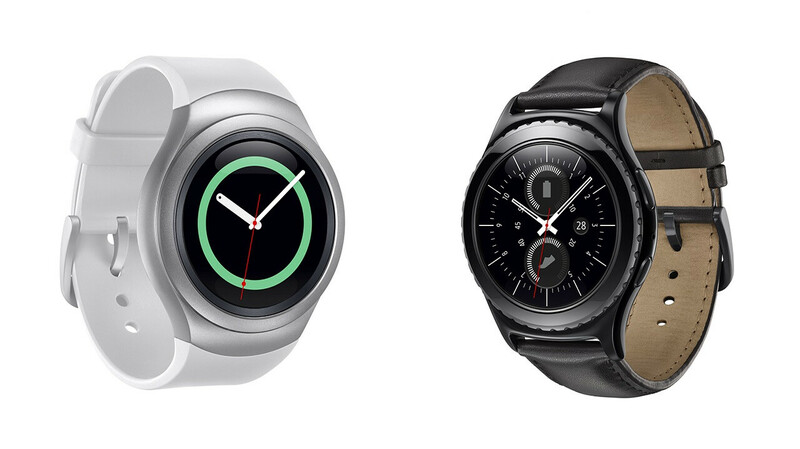 If you don't have a Samsung phone (which is most of us) than Android Wear is the way to go. Besides, who wants to use Samsung's services over Google's? Samrtwatches needn't be much complicated. Some of the gogle services are battery draining daemons. The first thing I do when I buy an Android phone is to disable some of the s**tty services from google. location, google now etc. In that way Tizen is far better for the wearables if it pairs well with a Smartphone for notifications. Rxactly what i do too , disabling Google s**tty, spying battery draining apps. Google Now is a staple for me and most of the time I keep location services on. I have no problem with either one of them. To be honest, Tizen is a lot more functional than Android Wear. I had a Gear 2 and that thing still to this day is more functional than Android Wear is. I like Android Wear, but it has a very long way to go compared to Tizen. I currently have an LG G Watch R... I may switch over to the Gear S2 since I'm a Note user, possibly for life :P.
The classic looks great, and I am glad they went with Tizen ovet Android Wear. Tizen is very well optimized for Samsung's wearables. I won't be surprised if they release an Android wear version too. If anything would make me a fan of Samsung, it would be this (the S2, not the Classic). Stunning design, and Tizen is a great watch OS. Probably one of the best smartwatch till date. Gear S2 Classic will be on my wrist for sure. Keep up the good work Samsung. Ugliest looking round smartwatch and it run tizen crap. Utter failure..
Hahaha your parents must be proud of you that their son is nothing but a troll on a tech site. Keep up the good work and keep earning those badges you moron. Ouch, that must have hurt you a lot. Ha ha ha ha. laughing at you and your butthurt response. haha, its clear who is butthurt..